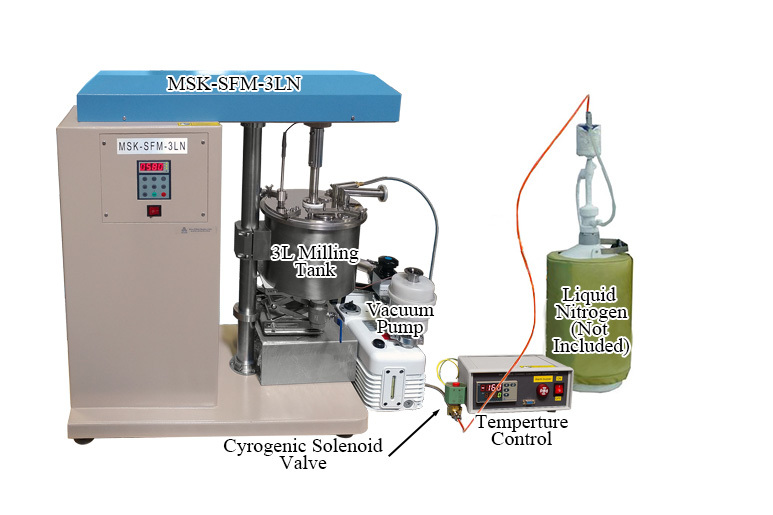 MSK-SFM-3LN is a liquid nitrogen cold rotor mill with precision temperature control inside milling container, which is designed for grinding soft and tough material in a single container as low as - 160°C. Programmable controller to set time, speed, rotation direction according to application needs. AC motor at 1250W Max. 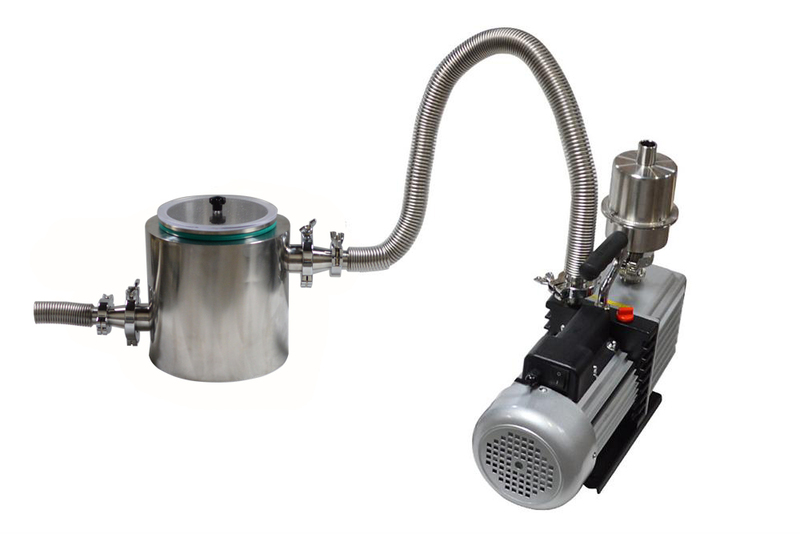 Made of SS 304 Steel with 5 Liter Capacity and vacuum jacket for thermal insulation. 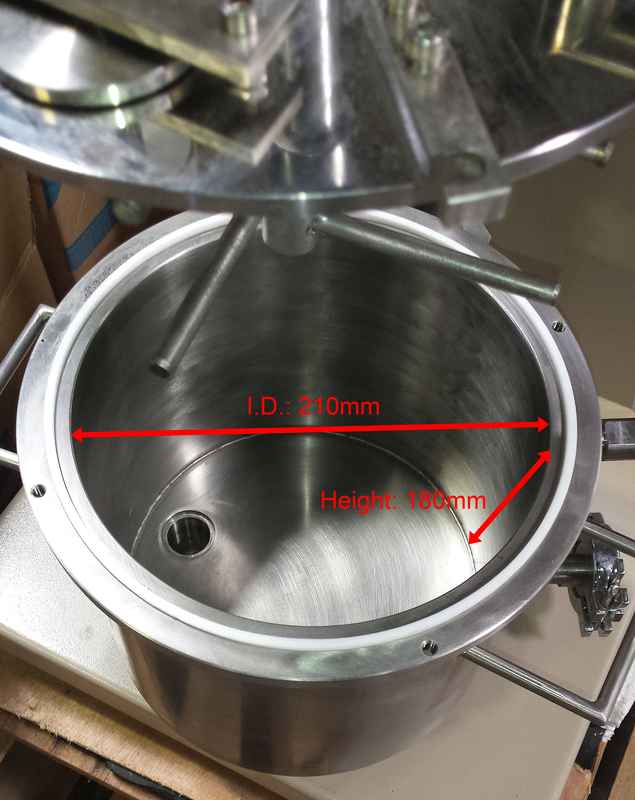 Temperature inside the container is measured and controlled by the temperature controller with a thermal couple insert. The liquid Ni flow is regulated by the CSA certified cryogenic solenoid valve, 1/4 FNPT, 155 psi max. 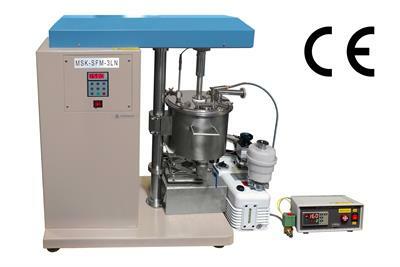 Vacuum pump is required for the operation.